JOURNEY se prepara para lanzar su nuevo álbum "Eclipse". El nuevo trabajo será lanzado en los EE.UU. y Canadá el 24 de mayo exclusivamente en Walmart y el 3 de junio en Europa por "Frontiers Records". Los 12 temas fueron escritos durante los últimos 18 meses por el guitarrista Neal Schon y Jonathan Cain (teclado), con la colaboración de la cantante Arnel Pineda. JOURNEY, one of the most popular American rock bands of all time, is gearing up to unleash their latest album of brand new material, Eclipse. The album will be released in the U.S. and Canada on May 24 exclusively at Walmart and beginning June 3 in Europe on Frontiers Records. To follow the release of Eclipse, Journey will launch the “Eclipse Tour” with Foreigner, and special guest Night Ranger, beginning July 21 at Rio Tinto Stadium in Salt Lake City, UT. Fans can expect to hear new songs from Eclipse as well as classics such as Don’t Stop Believin’, Any Way You Want It, Faithfully, Lights, Separate Ways, Wheel In The Sky, and many more. The “Eclipse Tour” dates are listed below. Tickets for “The Eclipse Tour” go on sale beginning Friday March 11, at all the usual online, phone and physical retail outlets, including select Walmart Ticketmaster locations across the country. Check http://www.journeymusic.com for complete ticket onsale information. Journey has once again teamed up with iloveallaccess.com to offer their fans a variety of VIP ticket packages. For more details go to http://www.journeymusic.com. Journey toured the world for two years in support of their 2008 release, Revelation. More than a million fans attended the shows, and welcomed new lead singer Arnel Pineda. Completing the Journey lineup is Schon (guitars, backing vocals), Cain (keyboards, backing vocals), Ross Valory (bass, backing vocals) and Deen Castronovo (drums, percussion, backing vocals). 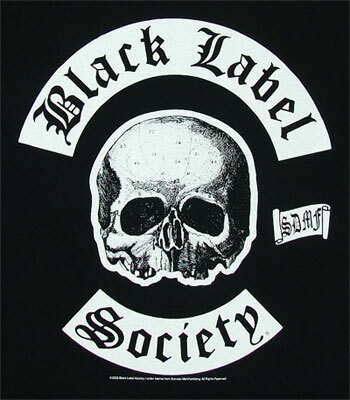 Revelation marked the band’s biggest first week's sales in more than a decade, debuting at #5 on the Billboard 200 in June 2008 and taking the top spot on the Independent Albums chart. Revelation earned the band their 11th Platinum album certification to date, leading The New York Times to declare that "the band…feels alive." Since its formation in 1973, Journey has earned 19 Top 40 singles and 25 gold and platinum albums. The band’s Greatest Hits album is certified 15 times platinum, bringing Journey into the elite club of Diamond-certified album holders. The group also received a star on the Hollywood Walk of Fame in 2005. For more information, visit http://www.journeymusic.com. Este es tracklist de "Eclipse", el nuevo disco de LOURNEY que será lanzado en los EE.UU. y Canadá el 24 de mayo exclusivamente en Walmart y el 3 de junio en Europa por "Frontiers Records". El 04 de abril JOURNEY lanzara en formato digital el single "City of Hope" de su próximo trabajo "Eclipse". Frontiers Records is pleased to announce the April 4th digital release of the new JOURNEY single, "City of Hope" from the forthcoming album "Eclipse". "City of Hope" will be available at all European online music stores. Me ha gustado el tema. Jurney presentaron sus álbumes emblemáticos “Escape” (justo a tiempo para su 35 aniversario) y “Frontiers” en el legendario Budokan de Japon, Eagle Rock Entertainment lanzará este concierto en DVD, Blu-ray, DVD + 2CD y Blu-ray + 2CD el 29 de marzo de 2019 bajo el título “Live In Japan 2017: Escape + Frontiers” . New York, NY-On February 7, 2017, Rock and Roll Hall of Famers Journey proved their status as one of rock's best live bands when they brought their landmark albums Escape (just in time for its 35th anniversary) and Frontiers to the legendary Budokan stage in Japan. 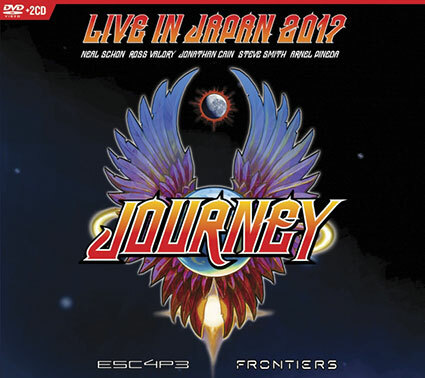 Eagle Rock Entertainment proudly presents this concert when Journey - Live In Japan 2017: Escape + Frontiers is released on DVD, Blu-ray, DVD+2CD and Blu-ray+2CD on March 29, 2019. A triumphant evening of music, Journey presented songs from 1981's Escape and 1983's Frontiers. 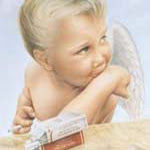 These albums, which produced eight Top 40 singles combined, have sold nearly 20 million copies worldwide, and cemented the San Francisco band's music in the cultural zeitgeist. Kicking off the 2-hour set with "Don't Stop Believin' '', Journey kicks into high gear, presenting a set not just of their hits, but deep album cuts like Escape's "Lay It Down" and Frontiers' "Back Talk," which haven't been played live since the albums' original touring cycles. The concert, presented with a minimal stage set, without big extravagant light shows or monitors, lets the music do the talking. 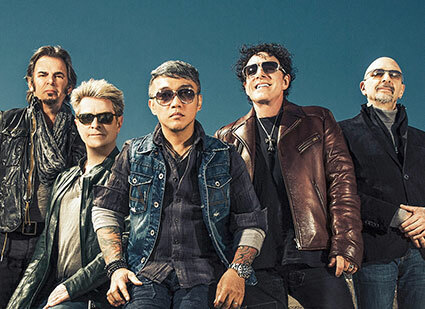 The spectacular musicianship of Neal Schon (founder / guitarist), Jonathan Cain (keyboardist), Ross Valory (bassist), Steve Smith (drummer), and Arnel Pineda (lead vocals) shines on famed hits like "Open Arms," "Who's Crying Now," "Separate Ways (Worlds Apart)," and "Faithfully." A fantastic representation of the band's legacy, Live In Japan 2017: Escape + Frontiers showcases the enduring impact of Journey and these songs.